Tampons are available in different absorbency ranges: Light (less than 6 g), Regular (6-9 g), Super (9-12 g), and Super Plus (12-15 g). We only found the Regular and Super variants in the malls we went to. There is a risk of Toxic Shock Syndrome (TSS) if you use tampons incorrectly (meaning you don't change them regularly). Symptoms of TSS include sudden fever, vomiting, diarrhea, fainting, dizziness, and rashes. If you are experiencing any of these symptoms, STOP using tampons. To avoid TSS, change your tampon every 4 to 8 hours—basically the same thing you'd do with sanitary napkins. Heavy-absorbency tampons can be worn overnight for up to 8 hours. It is also okay to switch between tampons and sanitary napkins during your period. Because you don't feel the tampon once it's inserted, there is a tendency to forget that it's in there at all. Set an alarm reminder on your phone so you won't forget to change! If your flow is especially heavy, we suggest you wear a pantyliner as well. 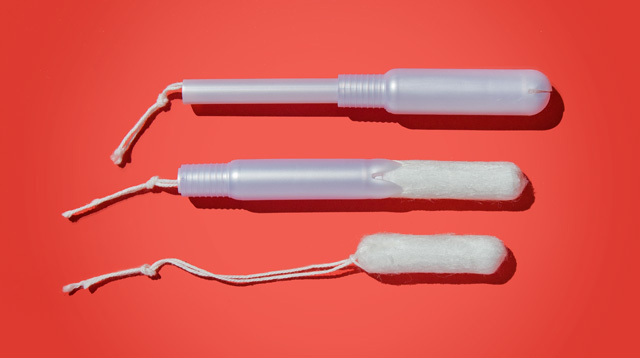 Once you start using tampons, you won't want to switch back to using napkins! It's seriously the next best thing to not having your period (although the dreaded cramps are still there to remind us from time to time.) As long as you use tampons correctly and are vigilant about changing them when they need to be changed, you're good to go.